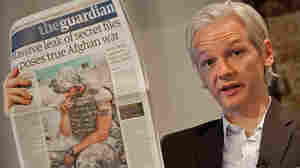 WikiLeaks: An Editor-In-Chief Or Prolific Source? July 31, 2010  WikiLeaks' latest disclosure relied on journalistic heavyweights to do the lifting of sorting through and presenting documents. WikiLeaks' executive editor sees the unveiling as collaboration between peers, but some journalists still consider WikiLeaks a source and not an objective partner. July 30, 2010  NPR senior news analyst Daniel Schorr died a week ago at the age of 93. 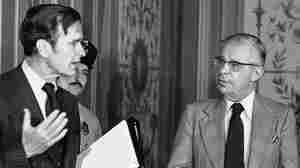 Schorr covered Watergate for CBS and broke many major stories, including a secret U.S. plot to assassinate Fidel Castro. Fresh Air remembers the legendary broadcast journalist with highlights from a 1994 interview. July 29, 2010  WikiLeaks' publishing of secret intelligence reports has done severe damage, Defense Secretary Robert Gates said Thursday, noting that his department would aggressively investigate how it happened. Adm. Mike Mullen said the group's founder may already have the blood of a soldier or Afghan family on his hands. July 27, 2010  The Concord Free Press has been publishing books and giving them away for the past two years. The Massachusetts-based publisher just asks readers to make a donation to a charity or a person in need and to chart the donation online. 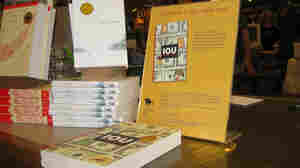 It also encourages readers to share the book with others. Gov't Unlocks Apple's iPhone But Is The Jailbreak Era Over? July 26, 2010  The iPhone ecosystem, which Apple protects with the ferocity of a Smoke Monster, is about to get wilder. And we have the Library of Congress and the Electronic Frontier Foundation to thank for it. July 26, 2010  Experts dismiss assertions by WikiLeaks founder Julian Assange that the documents his website leaked are as important as the Vietnam-era papers. 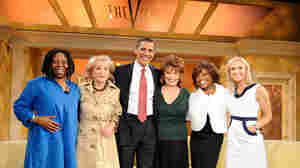 July 26, 2010  Shirley Sherrod was branded a racist by many in the media, and lost her job, before the full context of remarks she made was understood. NPR senior news analyst Ted Koppel talks about the consequences of breaking a polarizing story before gathering all the facts. July 26, 2010  WikiLeaks released more than 90,000 classified military documents to the public on Sunday. The reports detail six years of the war in Afghanistan, and paint a bleak picture of the conflict. Leak supporters say the release promotes democracy and open discussion. But critics argue it could threaten national security. What's The Appeal Of Wikileaks? 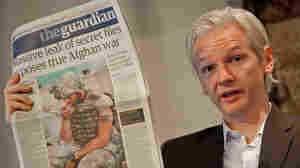 July 26, 2010  More than 92,000 documents about the Afghan War have been released by the organization Wikileaks. Commentator C.W. Anderson takes a look at what this disclosure says about the politics of journalism in 2010. July 26, 2010  The leaks are unlikely to affect the course of events on the ground. However, Andrew J. Bacevich of The New Republic believes they may well affect the debate over the war here at home and show how rapidly and drastically the notion of "information warfare" is changing. July 24, 2010  NPR senior news analyst Daniel Schorr died Friday at the age of 93 -- eight decades after breaking after his first story. NPR's Tamara Keith speaks to Bob Schieffer, Dan Rather and other former colleagues about the mark he made on journalism in Washington and around the world. July 24, 2010  You knew Daniel Schorr as a serious, sometimes irascible, broadcast journalist. But Dan had a whimsical and kind side that came through with a twinkle in his eyes. 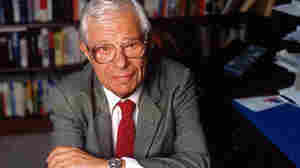 July 23, 2010  Veteran journalist Daniel Schorr, a longtime NPR contributor, died today at 93. Robert Siegel has this remembrance.